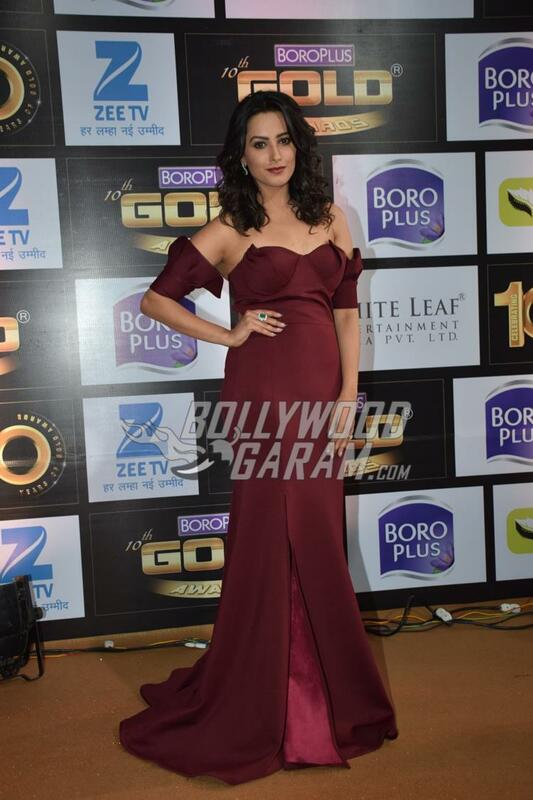 Celebrities from Bollywood and Indian TV graced the Zee Gold Awards 2017 held in Mumbai on July 4, 2017. The awards ceremony recognized and honored the best talent from the industry. 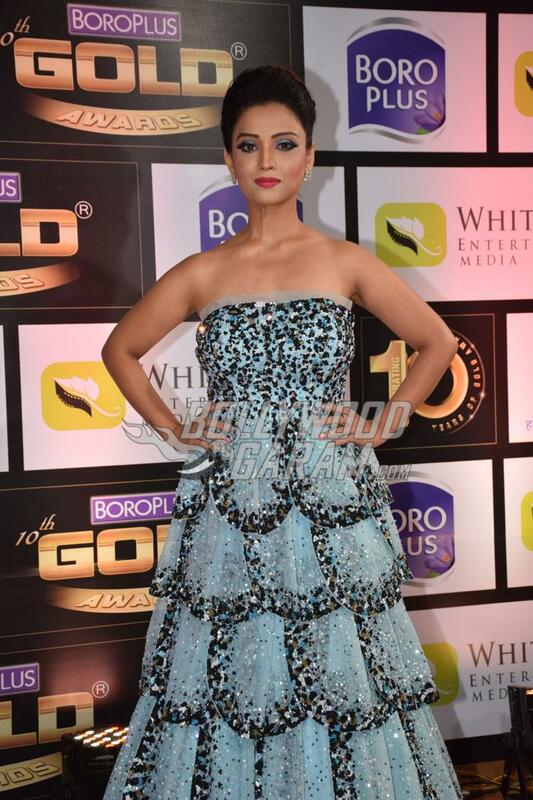 The entire film fraternity turned up and made a glamorous appearance at the gold carpet for the tenth edition of the awards. 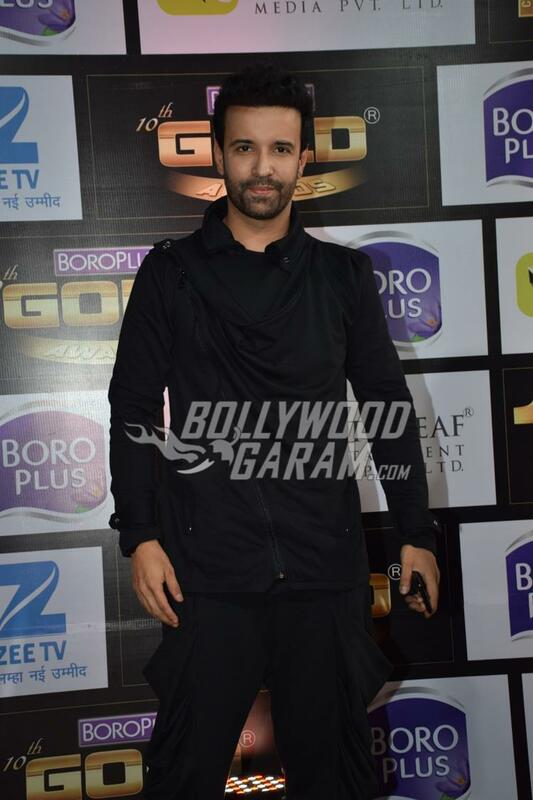 The awards were hosted by Jay Bhanushali and comedian Bharti Singh. The night saw some of the biggest stars from the industry, who were honored for their outstanding performance and dedication. 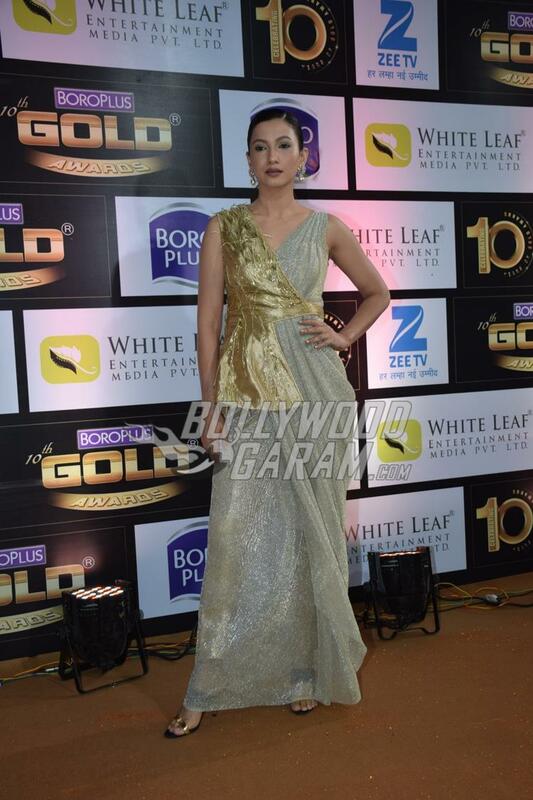 The Gold carpet saw the presence of Mouni Roy, Gauahar Khan, Shweta Tiwari with her daughter Palak and husband Abhinav Kohli, Aamir Ali, Debina Chatterji, Kamya Punjabi, Ridhi Dogra, Ritwik Dhanjani, Anita Hassanandani, Barkha Bisht, Indraneil Sengupta, Adaa Khan, Karan Singh Grover, Ajaz Khan and others. Celebrities turned up in their best red carpet looks and grabbed all the attention of the cameras. Talking about the awards, the Best Actor Female awards was grabbed by Divyanka Tripathi for her performance in Yeh Hai Mohabbatein while the Best Actor Male Award went to Karan Patel for the same show. Vikkas Manaktala from the show Ghulam won the Best Actor in a Negative role Male while Anita Hassanandani won the Best Actor in a Negative role Female (popular)for the show Yeh Hai Mohabbatein. TV actors Ridhi Dogra and Adaa Khan won the Best Actor in a Negative Role Female for their shows Woh Apna Saa and Naagin respectively. Mouni Roy was the one to grab one of the biggest award with the Face of the Year award. Previous articlePhotos - Sonam Kapoor dazzles in diamonds at Paris Fashion Week 2017! Next articleIt's playtime for Taimur Ali Khan!